All 3 taste explosions in one box. We toiled and tried and tested, and just when we were about to give up, we found the perfect recipe: low-calorie, sweetened cocoa, soft, velvety caramel, and protein crispies for that extra crunch. And no added sugar. And only a fraction of the calories. ** It's practically perfect. 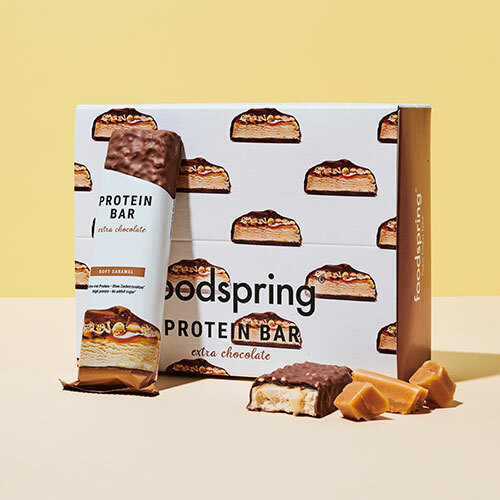 Extra Chocolate Protein Bar 12-pack will be back in stock shortly.